12:22 AM low -0.3 ft.
6:43 PM high 0.7 ft.
How to reach: To reach the tidal bench marks from the Post Office in Marathon, go WSW on U.S. Highway 1 for 2.9 km (1.8 mi) to the U.S. Coast Guard Station Marathon. The bench marks are in the area of the Coast Guard Station, Faro Blanco Resort, and nearby Buccaneer Resort. 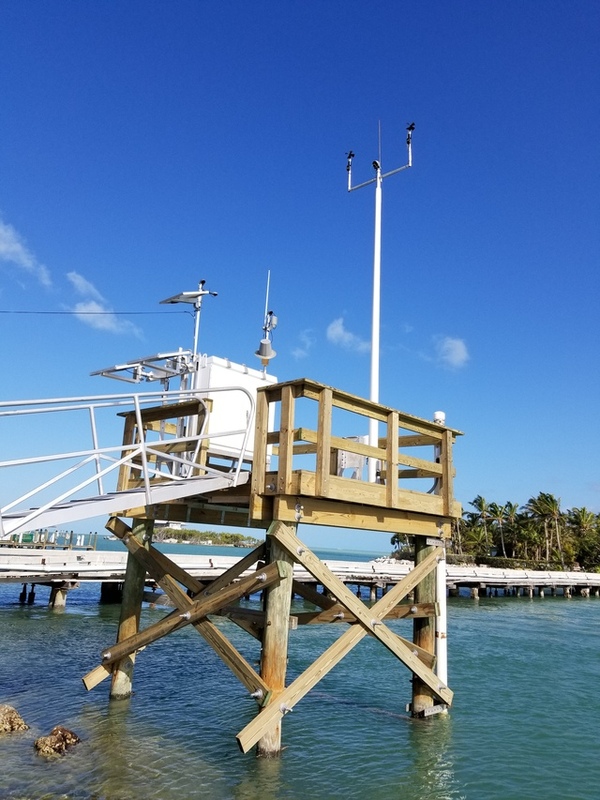 The tide gage and staff are on a platform at the NW corner of the Coast Guard boat basin.